Take-Two Interactive (TTWO), which publishes several popular video games such as Grand Theft Auto, is supposed to be a turnaround story, but management can't seem to find the formula to make it a success. On Thursday, Take-Two announced disappointing earnings, and on the same day, Carl Icahn took an 11% position in the company.Net revenue for the fourth fiscal quarter was $343.4 million, compared to $323.4 million for the same quarter of fiscal 2008. The fiscal year ended on Oct. 31. Net loss for the fourth quarter was $22 million or $0.28 per share, compared to net loss of $15 million or $0.20 per share in the fourth quarter of fiscal 2008. The numbers missed Wall Street expectations, as did the company's guidance for the next quarter and next fiscal year. According to several media sources, Icahn said he might seeks talks with Take-Two management. Icahn and Take-Two Chairman Strauss Zelnick both serve on the board of Blockbuster (BBI). Icahn's likely plan is to find a buyer for Take-Two. When the company made a preliminary announcement of earnings on Dec. 4, Take-Two's stock fell from $11.31 to $7.74. 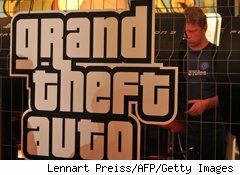 In early 2008, Take-Two had a buyout offer from Electronic Arts (ERTS), which took Take-Two shares above $27. Icahn may be gambling that he can get Electronics Arts to return to the bargaining table, or that video-game company Activision-Blizzard (ATVI) might make an offer. He certainly isn't taking his position in Take-Two stock because he spends hours a day playing Grand Theft Auto. Douglas A. McIntyre is an editor at 24/7 Wall St. Mcintyre and Zelnick served together on the On2 Technologies board from 2000 to 2002.